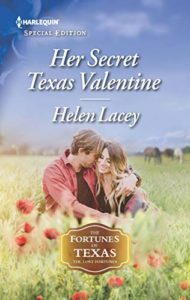 Text Copyright © 2018 by Helen Lacey Cover Art Copyright © 2018 by Harlequin Enterprises Permission to reproduce text granted by Harlequin Books SA. Cover art used by arrangement with Harlequin Enterprise Limited. All rights reserved. ® and ™ are trademarks owned by Harlequin Enterprises Limited or its affiliated companies, used under license.